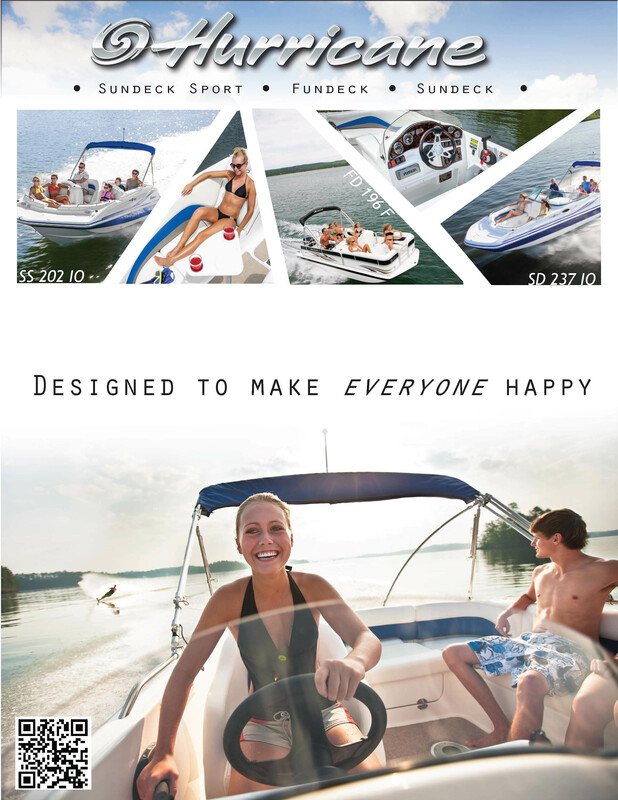 This is the first project I completed at my summer graphic design internship for Nautic Global Group. 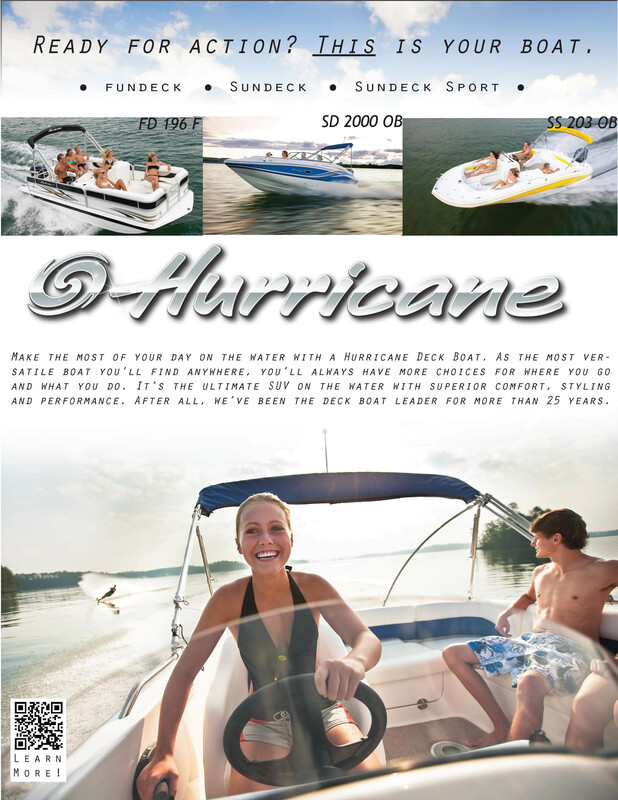 I created this full page advertisement for our Hurricane Deck Boats to run in PDB (Pontoon & Deck Boat) Magazine for the July 2013 issue. I tried out a lot of different things before I landed on this design, and some of the close runner ups are shown. Enjoy!! 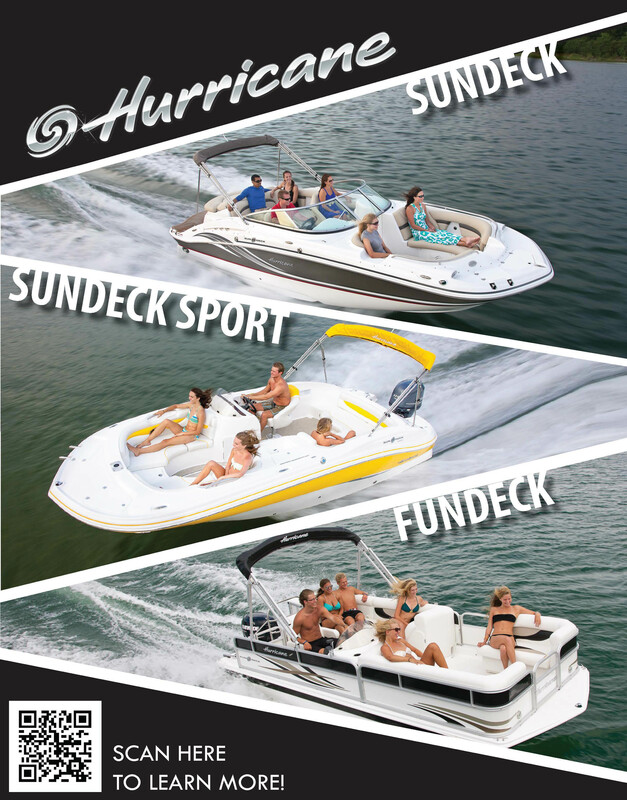 This is the first project I completed at my summer graphic design internship for Nautic Global Group. 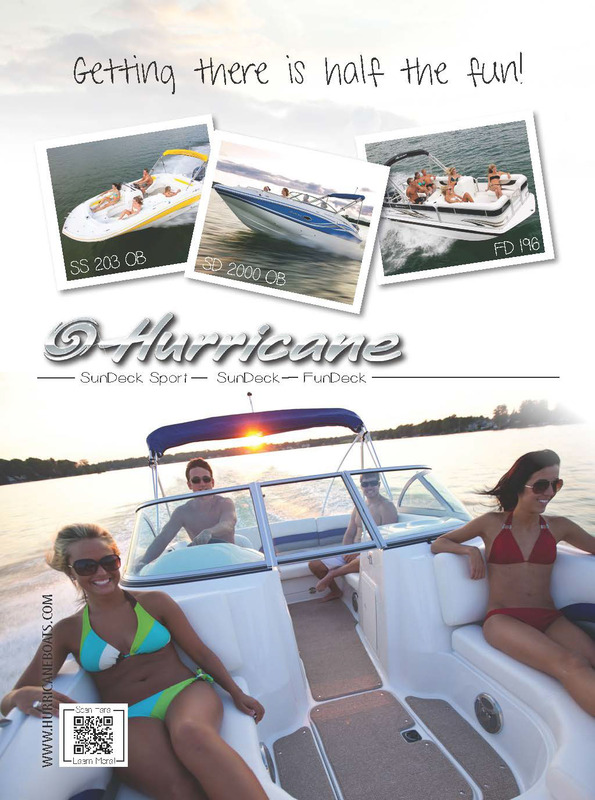 I created this full page advertisement for our Hurricane Deck Boats to run in PDB (Pontoon & Deck Boat) Magazine for the July 2013 issue (first image below). I tried out a lot of different things before I landed on this design, and some of the close runner ups are shown beneath. Enjoy! !